This little blue bomber has been giving Doctor Ivo Robotnik trouble for years. The evil doctor keeps trapping poor defenseless animals in robot shells as he searches for the chaos emeralds but our hero can't stand for that. He has gone through level after level freeing his animal brethren, collecting rings, and just making sure that Robotnik has an all around bad day. Because at the end of the day this speedy little guy just wants to race around in peace while enjoying a nice chili dog! 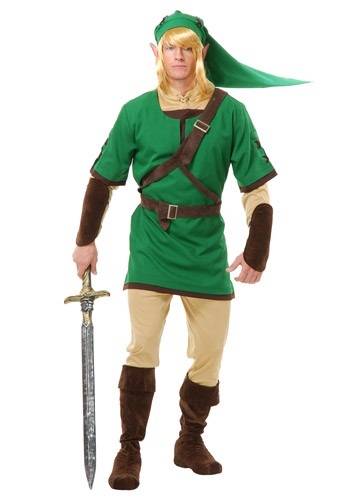 Become just like the Legend of Zelda character with this Adult Elf Warrior Costume. The ensemble includes a tunic, belts, arm guards, boot covers and a hat. 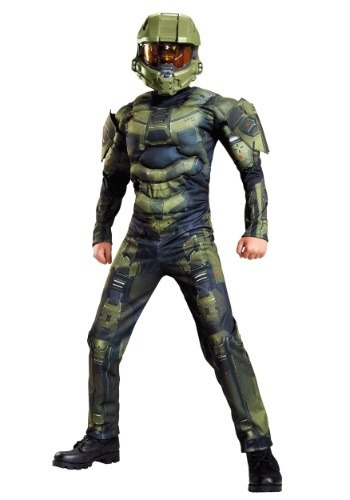 It's great for fans of the classic video game! Running super fast is fun but what happens when you get to a wall? No amount of running will get you past a ninty degree angle but having pointed knuckles will. 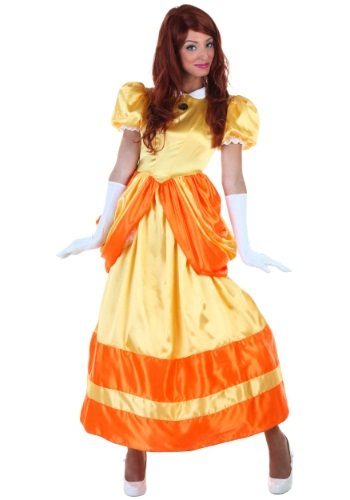 Now you can become Mobius's only climbing echidna when you wear this Knuckles dress costume. 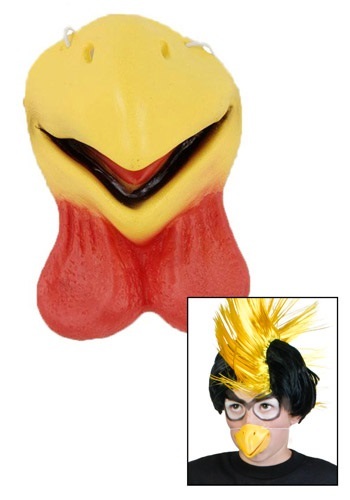 This costume pairs great with our awesome Sonic and Tails costume for a totally rad video game group theme. Just be sure to keep an eye out for those chaos emeralds. 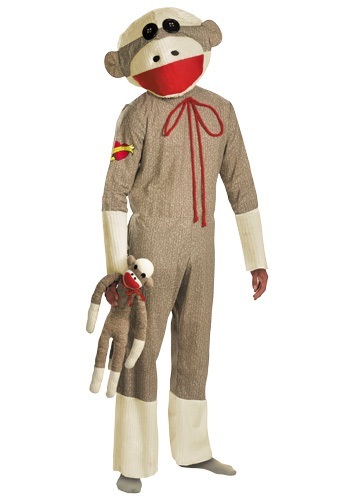 This Halloween, look just like the fun, retro toy your grandmother might have made for you, when you wear this Adult Sock Monkey Costume! 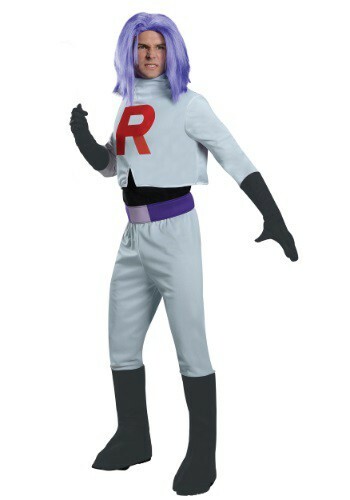 Everyone will want a hug from you when you wear this nostalgic costume. Do you have a need? A need for speed? 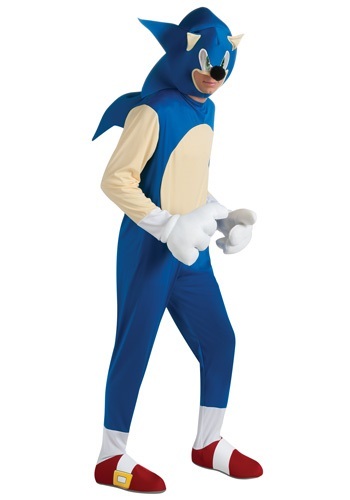 Then it's time to dress up as the blue blur himself with this great Sonic dress costume. When you put on this pretty blue dress you'll be set to collect all the chaos emeralds and put a stop to that nasty Dr. Robotnik! 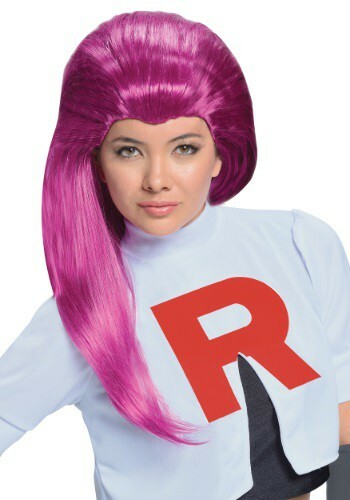 If you're an old school video game fan then you'll certainly get a kick out of this super rad costume. 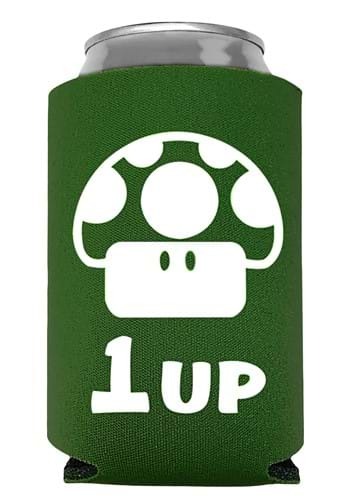 This also makes a great pairing with one of our Knuckles or Tails costume or for a fun couples look you can pair this with one of our awesome Mario costumes. Miles "Tail" Prower is more than just Sonic's friendly fox sidekick. Not only is he just as fast as Sonic, but he can use his two tails to fly, he's an accomplished airplane pilot and he's downright adorable. If you ask us, he should be the star of the Sega's number one video game franchise. The only thing Sonic can do that he can't do is use special shields and who needs those when you can fly? 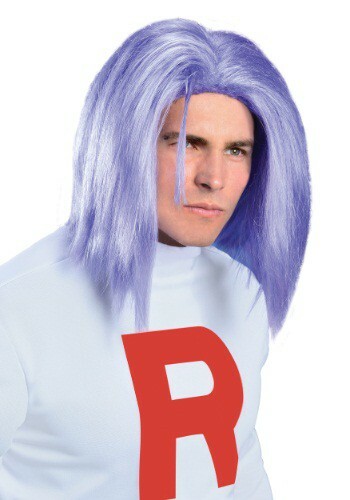 This dress might not let you fly like him, but it does have a his signature tails attached to the back, so we won't tell Sonic if you want to play a little trick on him. For the Horde! If you've always been on the side of the Horde and fought for Thrall and everything he stood for, then our Adult World of Warcraft Orc costume is for you. No, this isn't Tier 10 armor, and we don't think it has any particular enchantments, but you will be able to step into Orgrimmar without having every troll and goblin raising their eyebrows. You can hop up and down for hours, crawl the auction house, or just say, "kek," all day. The World of Warcraft is literally yours for the playing when you go in this Adult World of Warcraft Orc Costume! Before your trip down the rabbit hole, be sure you're ready for those unexpected hair adventures. Our Alice Blonde Adult Wig will keep your hair in it's place. No one like an unkempt look. Do you think you have what it takes to be a member of the House of Auditore? First of, your dagger wielding skills need to be impeccable especially since you are going after the Templar Order. Get revenge and unite the pages of the Codex while you're at it all while wearing this Assassin's Creed Ezio Girl Adult Costume. You'll look fierce while you storm the fortress's fabled hidden library. If you can't stop Playing Assassin's Creed you might just want to finally make the game a reality with the help of our Assassin's Creed Arno Dorian. While we don't recommend trying to jump into unattended hay piles while wearing this thing, you'll almost feel like you could get away with it... you'll look that authentic! 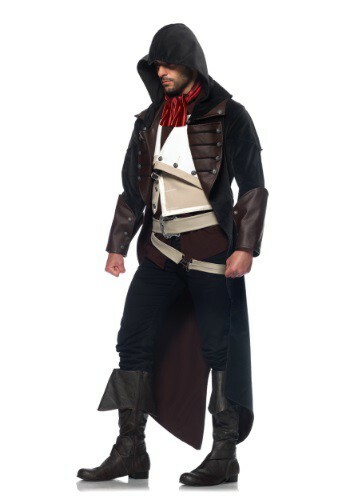 If you love the game, you'll love this Arno Dorian costume. We don't condone centuries long conspiracies between Templars and Assassins, but the Assassin's Creed games make it look so glamorous. 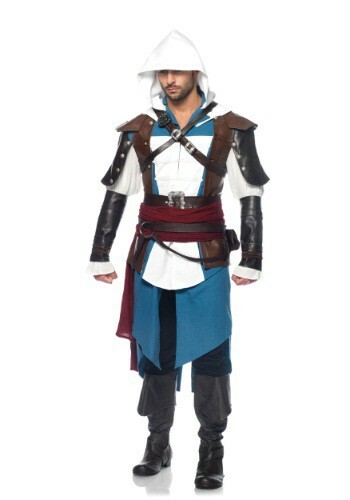 Imagine sailing the seas in this Assassins Creed Edward Kenway Deluxe Costume, commanding a crew and carrying out stealth missions on the side. 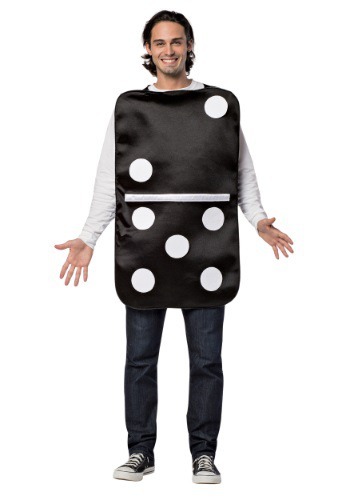 Of course, if you do decide to wear this costume, there's no guarantee that Abstergo won't use some wacky machine to harvest your memories to make a video game. 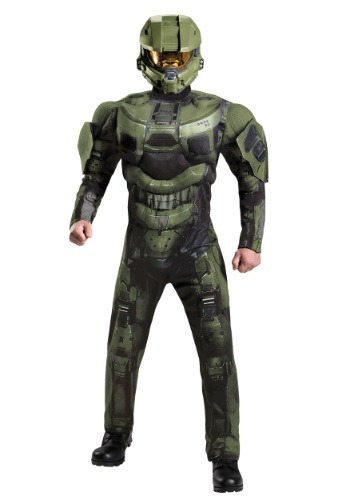 If you're okay with that, then this costume is the perfect fit for you. Booker and Elizabeth. Has a nice ring to it doesn't it? One of the greatest games of all time along with one of the best franchises of all time along with one of the greatest stories of all time! Whew. That's a lot of "all times!" The steampunk style world of Columbia was fully realized in the hit game Bioshock Infinite, and one of the most iconic weapons ever devised can now be yours: the Sky Hook! This replica recreates the weapon and tool seen in the game with great detail and it even spins! We don't recommend trying to glide around wires in your town with it, but it looks awesome, especially for a cosplayer, whether you can use it for transportation or not. 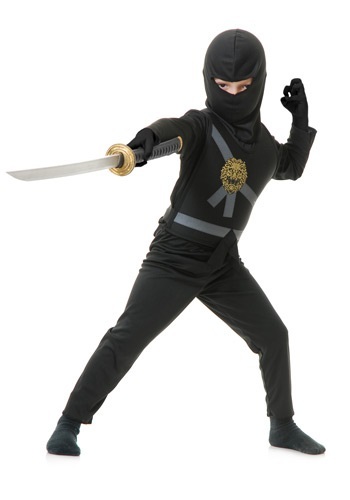 Is your child training to become the best cold-blooded assassin in the world? 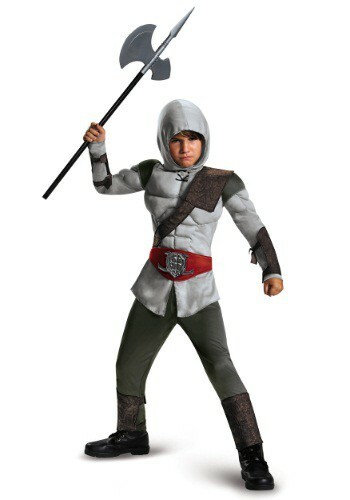 This Boys Assassin Muscle Costume is a must-have then. 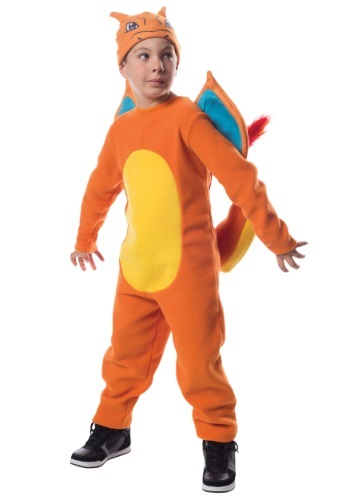 Just be careful once you dress him up in it, because you might be next on the revenge list for stealing one of his packages of fruit snacks. Not every pirate runs around in an eyepatch with a parrot on his shoulder. Some buccaneers have some deadly assassin skill, which they use with razor-like precision. 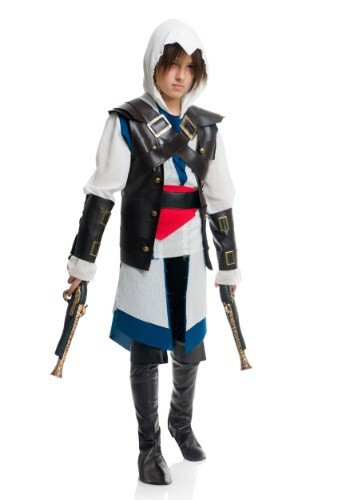 This Boys Deadly Pirate Costume is for just that kind of rogue. It's for the refined kind of pirate who's proficient with stealth, guns and knives, depending on the situation. Mixels always find a way to have a good time, especially the Frosticons. 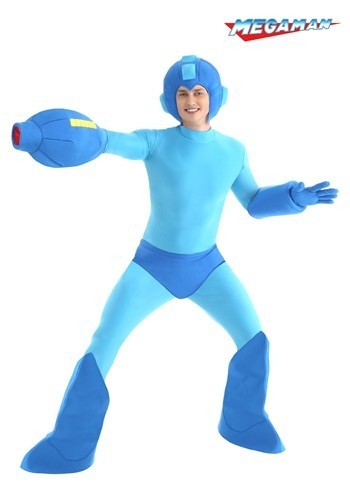 With this Boys Deluxe Frosticon Slumbo Costume, your kid can become one of the wacky characters. That means he's going to be doing tons of chilling and eating Barb-B-Cubes. (Although we don't actually recommend mixing barbecue with ice cream, that's what Slumbo likes). 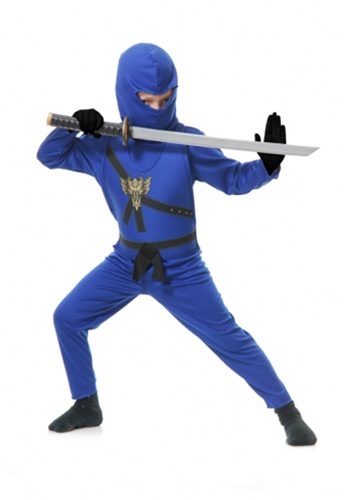 He's out for revenge and you better believe that this deadly ninja will not stop until he's avenged his family clan! One round house kick and your opponent be on his back! 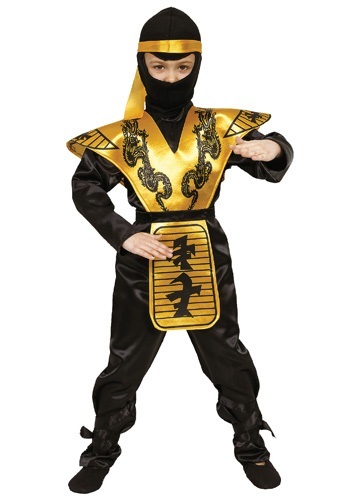 Enemies beware, anyone wearing this mortal ninja costume means business.